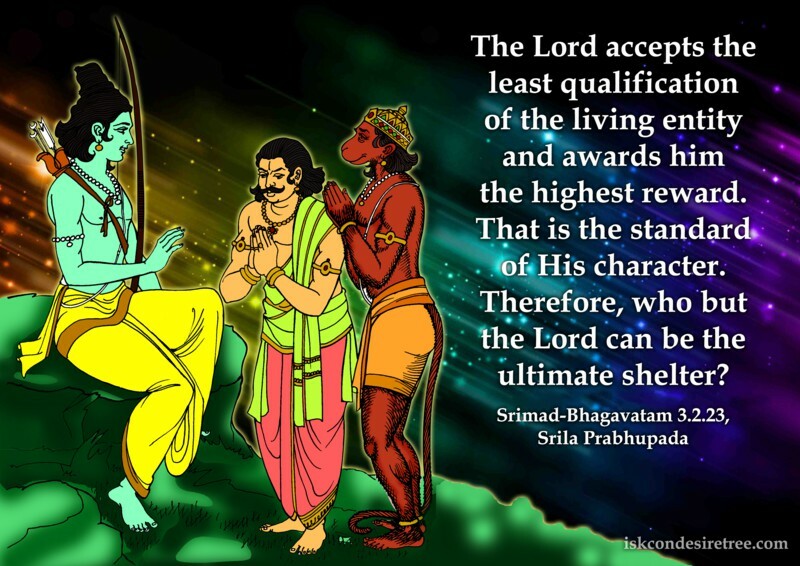 The Lord accepts the least qualification of the living entity and awards him the highest reward. That is the standard of His character. Therefore, who but the Lord can be the ultimate shelter? Krishna and pure devotees see through the substance, not the maya the world sees through. When the Vedic literature describes the Personality of Godhead as being without any qualities (nirguna), this means that the Lord does not possess any material qualities. It does not mean that He has no spiritual qualities.